Using a laser Dr. Trout surgically releases your child’s tongue or lip tie. A tongue tie is the tissue restrictively attaching the tongue to the floor or front of the mouth. A lip tie is the labial tissue restrictively attaches the upper lip to the gums. 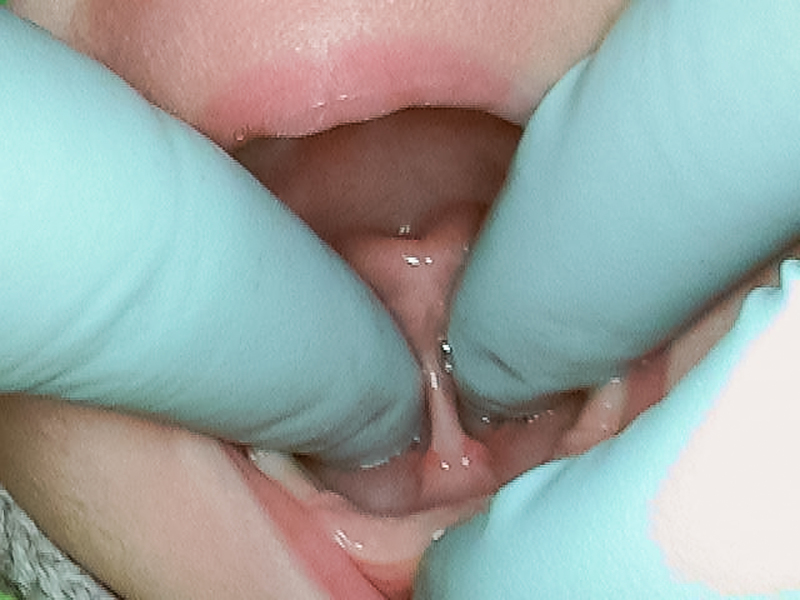 This is often referred to as an akyloglossia. The laser cuts the ties with great precision, while sterilizing and cauterizing the area. This reduces the chance of infection or bleeding. If treatment is necessary, stretching is required at minimum 5 times a day for 3-4 weeks. This will help the treated tissue not re-attach. Having this procedure done does not guarantee correction of your child’s condition. Without stretching the tissue, reattachment of the tie will occur! Active participation or monitoring is required of the parents, depending on the age of the child.